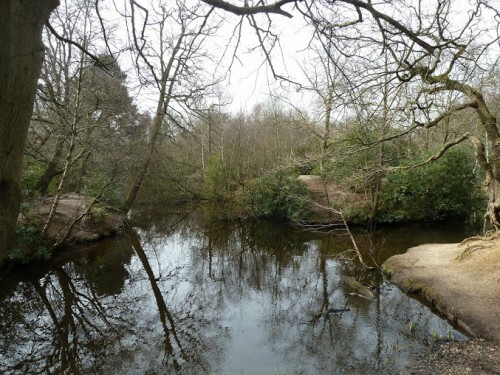 Lords Bushes and Knighton Wood form an ‘island’ of Epping Forest located in Buckhurst Hill and surrounded by houses. Together they cover some 53 hectares of mature woodland located on the eastern edge of the Epping Forest ridge. A number of water-filled hollows on the higher ground indicate the location of former gravel workings, the largest of which have been landscaped into attractive ponds. Glacial sands and gravels cover the western segment and the ground slopes gently down onto the London Clay towards the east. Several small streams emerge at the junction of the gravels and the clay and flow eastwards towards the River Roding. Knighton Wood and Lords Bushes walk click here. This entry was posted in Walking Routes and tagged Knighton Wood And Lords Bushes. Bookmark the permalink.